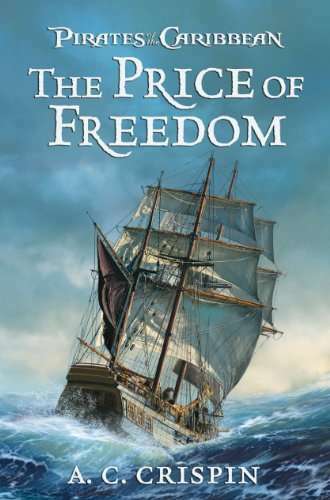 MICHAEL A. VENTRELLA: Today I’m pleased to be interviewing A.C. Crispin, whose new novel is PIRATES OF THE CARIBBEAN: THE PRICE OF FREEDOM. 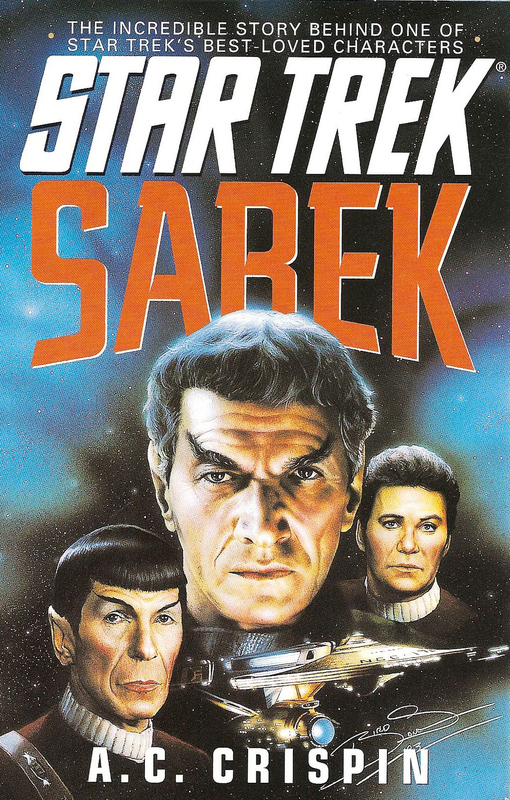 She’s best known for the novelization of the 1984 V TV series, but also for her bestselling Star Wars novels THE PARADISE SNARE, THE HUTT GAMBIT, and REBEL DAWN — although I first discovered her through her Star Trek novels: YESTERDAY’S SON, TIME FOR YESTERDAY, THE EYES OF THE BEHOLDERS, and SAREK. Ann, You’ve been able to write novels in some of fandom’s favorite stories. How did you manage that? 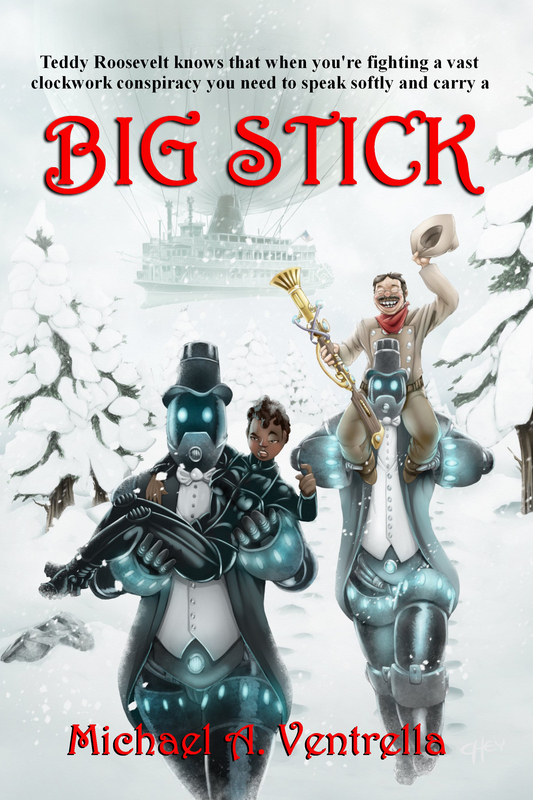 A.C. CRISPIN: After I wrote YESTERDAY’S SON and V, publishers with franchises approached my agent when they had projects they thought would be a good match for my skills. If your readers want to read about how to get an agent, soup to nuts, they should read “Notes on Finding a (Real) Literary Agent” on my website. VENTRELLA: Do you make proposals or do the studios come to you directly now? CRISPIN: For original novels I write book proposals. For tie-in work, they pretty much come to me. VENTRELLA: Let’s discuss THE PRICE OF FREEDOM. How much freedom were you given to develop Jack Sparrow’s background? CRISPIN: After a considerable amount of back and forth on the part of the Disney studio liaison, during which several detailed outlines were not approved, the studio liaison decided that instead of writing the project I had been originally hired to write (the story of the Isla de Muerta mutiny re: the Aztec gold) I should instead write the story of how Jack Sparrow worked for the EITC and wound up making that bargain with Davy Jones. So I knew where the story had to end up. How I got there was left pretty much up to me. I did consult with both my editors on the book, the acquiring editor and the editor who completed the project. For example, they both agreed that there should be a “Lady Pirate” as a character, so that’s how Doña Pirata was born. The Legend of Zerzura plotline was my creation, but my editors suggested having talismans as a way to get into the Sacred Labyrinth and reach the treasure. So I then came up with the bracelets. By the time I finished with my outline, it was over 70 single spaced pages long. Of course, THE PRICE OF FREEDOM is a long novel, some 235,000 words. VENTRELLA: Did Disney censor any of your ideas or tell you to make major changes? VENTRELLA: What were your main goals in trying to develop his character? CRISPIN: To create the character of “Jack becoming” so that people would recognize Jack Sparrow, but also know this wasn’t quite the Jack they see in the films … this was a younger, more vulnerable, more trusting and less cynical Jack. He gets more cynical and “savvy” during the course of the book. He’s not the same Jack at the end as he was at the beginning. Of course that’s the goal of good fiction, right? VENTRELLA: What adventures in your novel help shape Jack into the character we all know? CRISPIN: Oh, Jack experiences betrayal, disappointment, fear of imminent death, hatred, and as a result learns to be much more wary and cunning, and to trust almost no one. Readers who want teasers can read the excerpts on my website. There are six there. VENTRELLA: Do any other characters from the film appear in the novel? CRISPIN: Edward Teague, Cutler Beckett, Hector Barbossa, Pintel and Ragetti, and a certain squid-faced Captain. VENTRELLA: Were you given a peek at the script for the most recent film in order to work in some foreshadowing? CRISPIN: No. I was given the script for “At World’s End” before the film released, but my book was finished before the script for “On Stranger Tides” was written. VENTRELLA: The most recent movie is loosely based on Tim Powers’ novel ON STRANGER TIDES. Did you use that novel at all for reference? 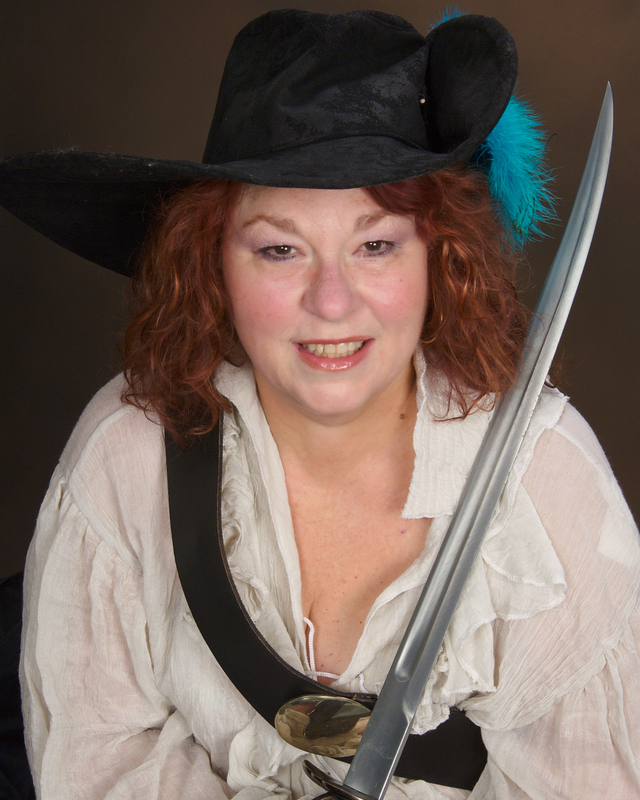 CRISPIN: I’ve read ON STRANGER TIDES a couple of times, but aside from the fact that it’s an excellent pirate yarn, no. VENTRELLA: Will there be more books in the series? CRISPIN: That will be Disney’s call. I imagine they’ll base that decision on how well THE PRICE OF FREEDOM sells. VENTRELLA: What’s your favorite of the Pirates movies? CRISPIN: The Curse of the Black Pearl. CRISPIN: Nope. I find it a challenge to have them grow and change in ways so subtle that the studio doesn’t realize I’ve done it. VENTRELLA: You’ve also written your own series: Starbridge. Tell us about this! CRISPIN: Funny you should ask about that. 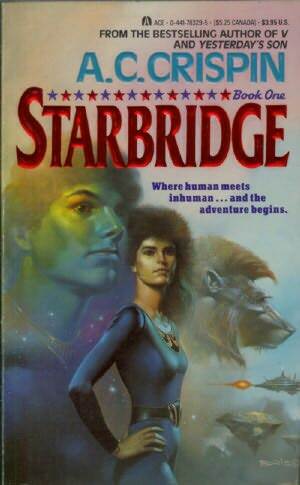 There’s a good chance that the seven StarBridge novels will soon be re-released as e-books. There have been quite a few requests for them from readers, over the years. The series is about a school for young people from the Fifteen Known Worlds who come to an asteroid in deep space to learn to be diplomats, planetary advocates (known as “interrelators”) and explorers. The books focus on First Contact, and explore what it would be like in a galactic society. VENTRELLA: Do you find writing books based on your own work easier? CRISPIN: Not really. 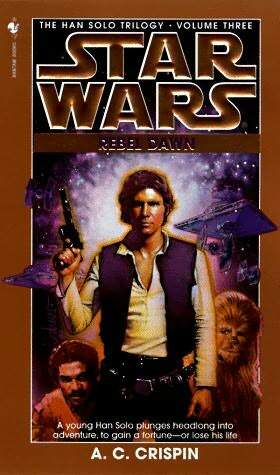 I put my full efforts into both my media tie-ins and my original novels. With the original novels, it’s generally a bit more work, because I have to create the world, the technology, the history, the geography, the society, etc. World-building and universe-building have to be done well if you want to create the illusion of reality –- something that’s essential to writing s.f. and fantasy. VENTRELLA: We met at Balticon this year. Do you enjoy conventions and do you advise authors to attend them? CRISPIN: You can learn a lot at conventions, and once you’ve gone pro, you can do a fair amount of networking and business at gatherings such as the Nebulas, Worldcon, etc. I enjoy conventions, still, even after all these years. VENTRELLA: Let’s talk about Writer Beware. How did the idea for this come about? CRISPIN: Back in 1998, Victoria Strauss and I both realized, independently of each other, that writing scams were proliferating on the internet. At some point our investigations brought us into contact with each other, and we decided to do something about it. SFWA gave us its blessing and sponsorship, and that’s how Writer Beware was born. VENTRELLA: I meet many authors who have gone the vanity press or self publishing route and then wonder why no one takes them seriously. Other than “don’t do that” do you have any specific pieces of advice for these authors? CRISPIN: I advise them to go to Writer Beware and read our articles about POD, vanity publishing, etc., so they’ll go into self publishing with a clear vision of what it can and can’t do for an author. E-publishing has taken off in the past six months, and it can now be a realistic way (provided the author has the sales numbers) to break into commercial publishing (advance and royalty paying publishing with a major press, that is). This is generally not true for POD and hardcopy “self publishing.” But there are exceptions. The main problem with “self-publishing” is when authors confuse it with commercial publishing and expect their books to be on the shelves in bookstores nationwide, plus have other unrealistic expectations. It is really not a shortcut into a successful writing career for the vast majority of those who do it. I believe it’s still true that most POD and self published novels still sell fewer than 100 copies. (1)	I’d go back in time and eliminate the Thor Power Tools Supreme Court ruling. That had a terrible effect on a publisher’s ability to keep books in stock. Look it up. (2)	I’d get rid of the Internet for two reasons (A) the internet has given aspiring writers the idea that they’re entitled to be published, no matter how well or poorly they write, and (B) because of the internet, writers are getting scammed at an appalling rate. CRISPIN: Terry Pratchett, Elizabeth Peters, Jane Austen, Charles Dickens, Margaret Mahy, Ursula K. LeGuin, George R.R. Martin, Lois McMaster Bujold, Charlotte Bronte, and too many others to name. CRISPIN: I do my level best on all my books. I’m pretty proud of PIRATES OF THE CARIBBEAN: THE PRICE OF FREEDOM, because I had to do so much research. It took me three years to write, and the whole time I was writing it, I was doing research on the historical period and the nautical stuff. CRISPIN: For tie-in work I HAVE to produce detailed outlines, so I’ve gotten used to working that way. I don’t like writing myself into corners, and a good outline usually prevents that. CRISPIN: I have no idea. Personally, I prefer science fiction, though I read both. CRISPIN: Learn to read and analyze publishing contracts. Agents aren’t perfect, and you really need to be able to read a proposed contract and spot pitfalls. 2. They look for shortcuts, such as “self publishing” or POD publishing, often with a scammy publisher like PublishAmerica or Strategic, because it’s the easy thing to do. 3. They develop “golden words syndrome” and can’t see any flaws in their writing, and if someone points them out, they get mad. This is death to any aspiration to ever be a pro. 4. They submit first drafts. 5. They want to write fiction, but they don’t read it. I’ve never yet encountered a single writer, in the dozens, maybe hundreds of workshops I’ve taught, who wrote fiction well but wasn’t a reader. In order to write well, especially fiction, you must be an inveterate reader. No exceptions. CRISPIN: Where readers can buy my books. There are links to purchase all my books on my website.